The Barclays Premier League braced the mid-week with all 20 teams in action. Chelsea maintained their advantage at the top, Balotelli scored a first league goal and much more from gameweek 25 of the season. Here's the full recap from all the ups, downs, goals and mishaps from Tuesday and Wednesday's football. Queens Park Rangers sealed their first away win of the season to shift out of the relegation zone, grinding Sunderland's form to a halt in the process at the Stadium of Light. Leroy Fer—who would leave the pitch later in the second half sustaining a knee injury—opened the scoring for the Hoops, accurately guiding in a header from Matty Phillips' cross from the right flank. That was after a positive start from the London contingent, as Zamora's header went wide, and Joey Barton slashing his attempt over. Ramsey's men swarmed the opening stages and a goal was well deserved. Any chances of the Black Cats trying to lift themselves back in the game were severely dampened after a delightful finish from Bobby Zamora. Matty Phillips would clinch another assist, this time a pin-point ball, which took one bounce before Zamora hooked it, guiding it into the top corner. 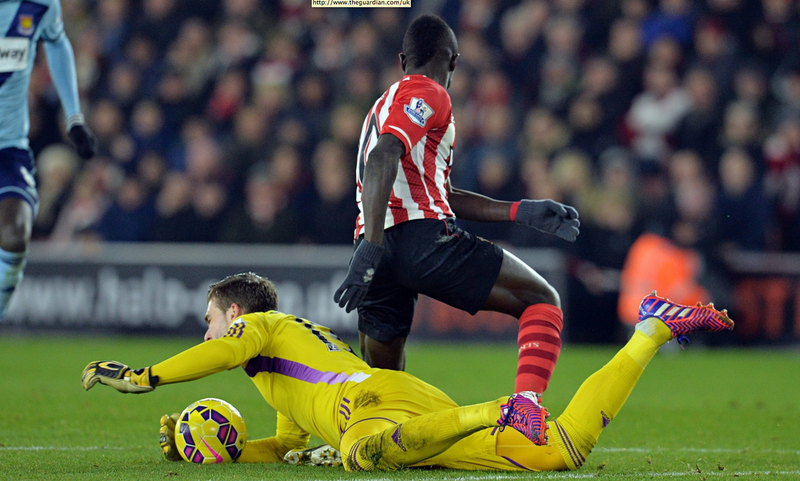 With their work cut out for them in the second half, Sunderland tried to rally, but to no avail. A resolute defence would see them comfortably take three points, while Sunderland remained the team with the lowest home wins in the league. Mesut Ozil engineered two fine assists as Arsenal held on to ground the Foxes at the Emirates, and further boost their chances of a top-four finish. The German World Cup winner completed 88% of his passes, ousting the defensive tactics employed by Nigel Pearson. He was catalysing the play from the outset, set Walcott free and had a shot for himself too, but both were denied. Before half-an-hour of play had passed, Ozil found his French team-mate with a wonderful delivery. The centre-half had acres of space in the area to tap it in as Wenger's men took control. Returning from injury, Alexis Sanchez had his moments of magic, but it all came down to when Ozil's shot was parried before Walcott volleyed from the parry to find goal. It wouldn't all be plain sailing from then, though, as an injury to Aaron Ramsey left Arsene Wenger concerned, and Andrej Kramarić managed to get the ball through a sea of bodies to pull one back for the Foxes. He could've got a second when Mahrez put him through—Ospina was hovering off his line, he tried the chip but it fell into the hands of the keeper. In what would prove to be Paul Lambert's last game in charge, Aston Villa slumped to a 2-0 defeat at the hands of Hull City. Marking Villa's tenth game without victory, they dropped to the relegation zone after N'Doye and Jelavic got on the scoresheet. Dame N'Doye first assisted Jelavic with a through ball, leading to the Bosnian's shot deflecting on it's path to goal. Lacking intensity and desire, the visitors had their moments to change the game but couldn't, and all hope would unravel when Gaston Ramirez's header created a world of trouble for Brad Guzan. After parrying it out, it came to Dame N'Doye, who finished from close-range to wrap up three-points in their relegation aid effort. Lazar Markovic completed an optimistic start for the home-side, managing to find the net Lloris failed to keep out his left-footed attempt that trickled into goal. Spurs would get back on level terms soon enough however, as Harry Kane continued his incredible goal-scoring form to even the sides at the half-time whistle. The game followed the high-octane nature in the second phase. Some magical footwork by Daniel Sturridge won a penalty for Liverpool, and it was the skipper Steven Gerrard who broke his season tally into double digits with a fine conversion. Officials would be the focal point again as Simon Mignolet was livid when Harry Kane assisted Mousa Dembele for the equaliser after Christian Eriksen's free-kick was parried. But that would not be the end of the tale, as Mario Balotelli hit home with his first league goal for Liverpool, guiding in from Lallana's ball to give the Reds the win at home. Sergio Aguero thumped past two goals as Manchester City picked up their first league win in five games, waltzing past Stoke at the Britannia. Scoring for the first time since early December, the Argentine Aguero emulated some of his most prolific form, running through at full pace and slotting into goal. It put away a nervy start from Joe Hart in which the hosts looked to have a real chance. Peter Crouch's header would prove a placeholder of another focal point for the Potters' towering forward, jumping high to even the game at the interval. James Milner once again brought up the goods for the Citizens scoring 10 minutes into the second half, and soon after Manuel Pellegrini's men would be exercising their true muscle on the field. David Silva was too hot to handle in the box, and was forced down resulting a penalty kick awarded City's way. Aguero slotted it well into the top corner to further the lead. Finally, Samir Nasri, lurking around the edge of the area, set a blistering strike on course for goal, capping off three points and installing some vitally-needed momentum within the club. While a couple of injury setbacks soured the win, a surprising double from Chris Smalling hoisted Manchester United two places up the table as they topped Burnley. An injury to Phil Jones made way for Chris Smalling's introduction, and he headed home seconds within his entrance, after the ball was pegged back by Radamel Falcao. The visitors though, wouldn't let the lead last, as Danny Ings got on the end of Trippier's cross to put the game back on level terms. The night would get sweeter for Chris Smalling, arrowing in another attempt to give Van Gaal's side some leverage. Burnley improved, De Gea did too, and the fixture was put to rest when Scott Arfield took down Angel Di Maria in the area. Robin van Persie stepped up to dispatch the penalty and take United into 3rd place. Chelsea may have left it late to take all three points, but a sweet strike from Willian left the Toffees sticking at Stamford Bridge. Tim Howard was finally beaten, despite some fantastic saves to keep the Blues out. Nemanja Matic's free-kick was palmed away, Loic Remy was denied and so was the eventual goalscorer, Willian. Juan Cuadrado made his first start for Chelsea, and although showing some glimpses of positivity, he couldn't impose himself in a tough game from Mourinho's side. When Romelu Lukaku trounced forward, he was denied a first goal at the Bridge when Tim Howard defiantly thwarted the Belgian. Minutes prior to the goal, Chelsea thought they'd won it through Matic, whose shot deflected off an offside Ivanovic into goal. While those celebrations were quietened, the stadium would erupt minutes later. Willian drilled a volley right past Tim Howard and Chelsea continued to march on to the title. A descendence for Everton would worsen the blow when Gareth Barry received a second yellow and his marching orders. A sweet finish to cap off the game. Despite going down to 10-men, West Ham hung on at St. Mary's in the only goal-less draw of the Premier League gameweek. The Hammers' keeper Adrian was dismissed half-an-hour from time, handling outside his box after Sadio Mane mis-controlled outside the area. Small spurts of attack would result in a missed opportunity, and frustration filled the ground. Alan Pardew's Crystal Palace stole a point from his former side Newcastle as they left it late at Selhurst Park. Fraizer Campbell, the eventual goal-scorer, would epitomise the best of the first half for the hosts, with his goal being denied by the linesman. But, with all that play, there would still be no shot on target until Newcastle found the breakthrough. Daryl Janmaat's cross was knocked in by Papiss Cisse to give the Tyne-Wear side an advantage on the stroke of halftime. Yannick Bolasie made an impact from the outset, influencing the game heavily, whipping in the ball to Fraizer Campbell who slid the ball in. Both sides shared the spoils. 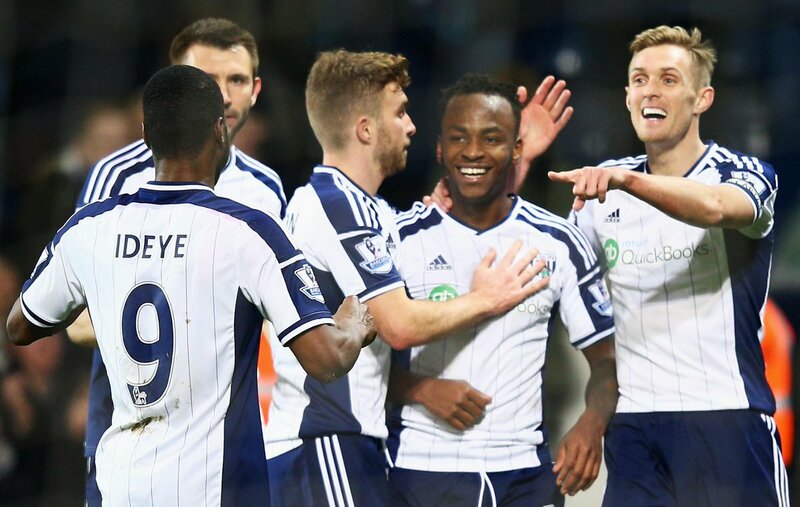 West Brom marched further from the relegation zone as two second half goals gave them a home win. Brown Ideye scored after an hour of football, in what was then a dull contest before his low-shot gave him two goals in as many games. Some 14 minutes later, he assisted Saido Berahino—making the start amid his controversial comments—cutting the ball back for an easy slot in. The Premier League certainly spiced up midweek. See this page to view the current league table. Some opportunities are missed, like Southampton against a ten man West Ham, but others are pounced upon, as Chelsea maintain their lead and Balotelli returns to scoring form. With a weekend of FA Cup football next, it's more than a week's wait till the next instalment of Premier League football, so hang tight. Recap from the midweek action contested on 10-11 February 2015 in the Barclays Premier League.